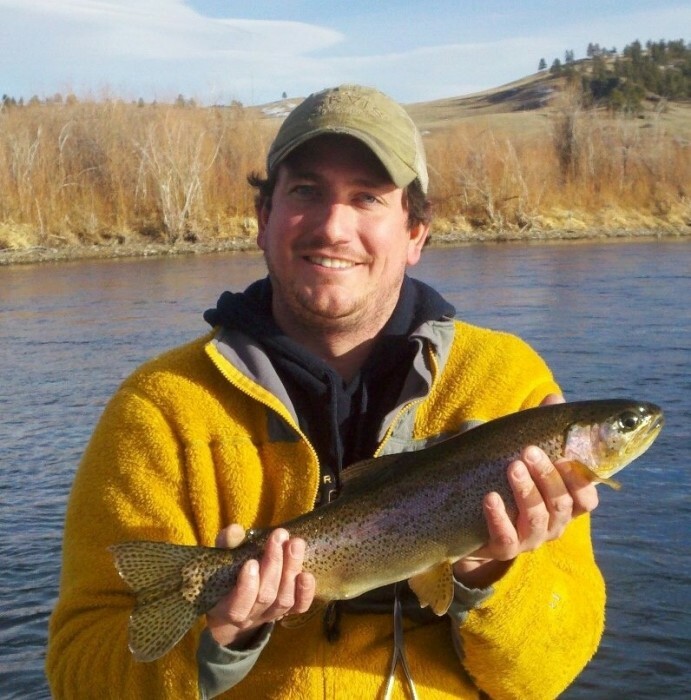 Theodore Holmes Morris, 35, of Livingston, Montana left this world to take his eternal fishing trip on Sunday, January 13, 2019. “Teddy” was born on September 21, 1983 in York, Pennsylvania, to his mother, Rachel (Watson) and his father, Jeremy Holmes Morris. He attended Central York High School and was a graduate of the class of 2001. Ted furthered his education at Indiana University of Pennsylvania earning a bachelors degree in hospitality management in 2006. Following school, he took a job managing a Marriott Hotel in Sugarland, Texas. He would later join his mother, Rachel in Livingston in 2010. Ted immediately took to the Yellowstone river. He began his career as a fishing guide with Hubbard’s Yellowstone Lodge and has worked with them throughout. He “clicked” with everyone he guided for and so enjoyed his time spent on the river. In the winters Ted kept busy cooking for elk camp at Hubbard’s and cooking at Chico, Pinecreek Café, Pinkey’s and at various resorts in Key West, Florida and Mexico. He was always up for an adventure. He was currently in the process of starting his own guide business and he was so excited. Ted’s spirit was bright. He lifted others up and would gladly give you the shirt off his back. He made friends with everybody he met. Ted loved a good time, was outgoing and was loyal to a fault. His loving and warm presence will be so missed by his family, his many, many friends and the town of Livingston. Ted leaves behind his mother, Rachel Flury of Livingston, MT, his father, Jeremy Morris of York, PA, his sister, Alexis Juett and her husband, Zach of Traverse City, MI, and beloved nieces, Victoria and Reese. He is also survived by loving uncles, aunts, cousins and many friends. A celebration of Ted’s life will be announced for June in Livingston, MT. Memorials are preferred to Stafford Animal Shelter, 3 Business Park Dr., Livingston, MT 59047.